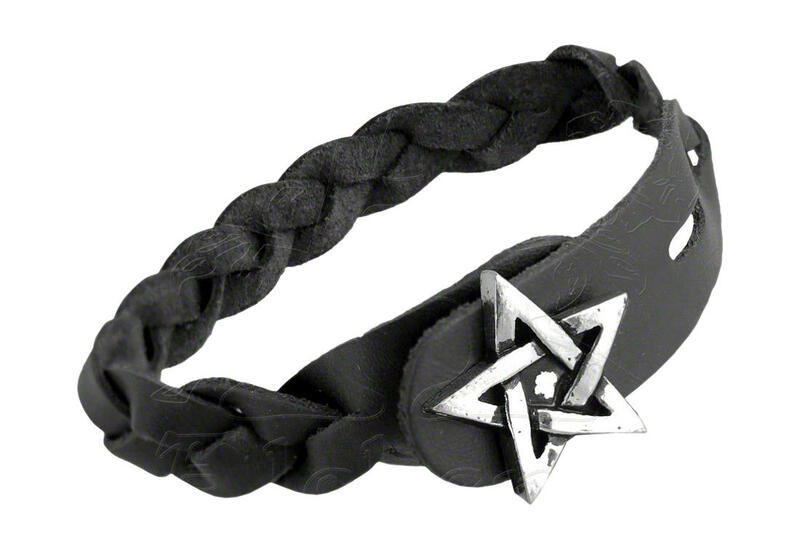 Traditional hand braided black leather wristband bracelet with cast fine English pewter pentagram button fastening. From the UK. 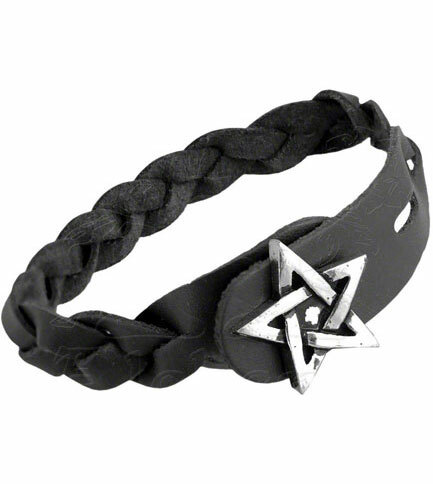 Measures approximately 8.9 inches wide x 0.71 inches high x 0.43 inches deep.